Cosmetic contact lenses are meant primarily for aesthetic purposes. However, they can also deliver therapeutic and even psychological benefits to certain patients. At Weston Contact Lens Institute, we are proud to offer custom cosmetic or prosthetic lens fitting services for patients seeking any of these benefits. 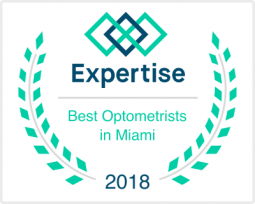 At Weston Contact Lens Institute, the number one goal of our practice is to improve the quality of life of our patients. In most cases, we achieve this by helping our patients see better—even in light of difficult-to-treat eye conditions. The functionality of our lenses is the most important aspect of the design. For patients who have suffered trauma, though, or who have congenital conditions that have disfigured their eyes, looks matter just as much as function. Patients seeking help with some sort of eye disfigurement can rely on Weston Contact Lens Institute. Our soft prosthetic or cosmetic lenses overlay the eye in such a way that they effectively conceal the disfigurement. 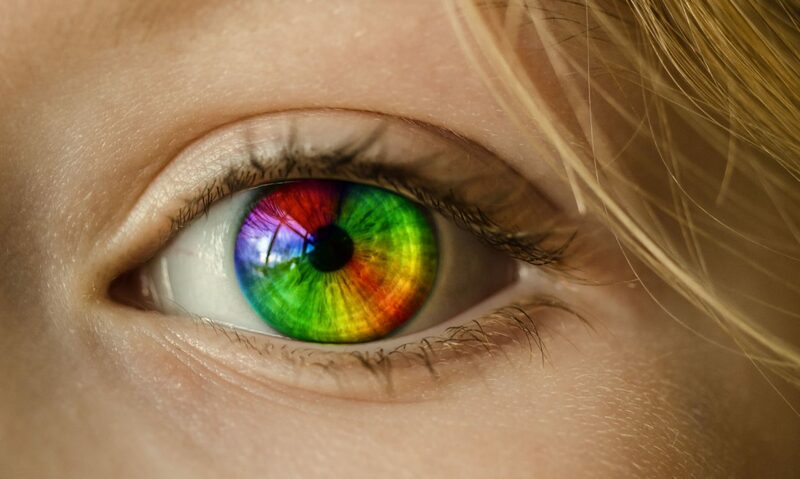 These lenses, available in a variety of designs and colors, can be designed to match the color and look of the patient’s normal eye or to make both eyes look normal. For patients who have lost most or all of the vision in their damaged or disfigured eyes, cosmetic lenses can at least provide a big boost in self-esteem by improving the physical appearance of the eye. At Weston Contact Lens Institute, we have heard from patients who feel much more comfortable and confident after working with us to find the right cosmetic lenses for them. For patients who still have vision in their damaged eye(s), Weston’s cosmetic/prosthetic lenses can block light, cut down on visual disturbances, and help the patient to enjoy more normal vision. These patients often struggle with light sensitivity, double vision, limited contrast, and color deficiencies—all issues that can be addressed with our cosmetic lenses. To make sure we can help as many patients as possible, we offer a variety of different options when it comes to prosthetic and cosmetic lenses. By altering the levels of transparency, tinting, and opacity in the lens, we can achieve the right color, look, and prescription for the patient. We can even design custom hand-painted lenses, to match the curves, iris color, iris diameter, pupil size, and overall aesthetic of the normal eye. Numerous eye conditions can lead to the disfigurement of the corneas or other parts of the eye. Beyond simple trauma, these conditions include congenital defects, infections, complications from surgery, glaucoma, issues with poor nutrition, Sjogren’s syndrome, and retinal detachments. Our Weston optometrists offer cosmetic lenses to help patients with the effects of each of these conditions, among others. Not all patients are suited to cosmetic or prosthetic lenses. In order to use these lenses, patients must be able to wear them comfortably, without pain or further damage to the eye. The patient’s expectations must also be taken into account, from aesthetics to therapeutic benefits to prescription options to wearing schedules. If you are curious whether you are a candidate for a cosmetic lens, you should start by scheduling a consultation with Weston Contact Lens Institute today. Contact us to make an appointment with our team as soon as possible.